Mobile is everywhere, but being such a ubiquitous device also makes it imperative that this platform is used to its fullest advantage for making one’s business popular and increasing its sales. There are a number of opportunities available in the digital space to businesses to enhance their popularity among the people with just few worthwhile efforts. Social is getting bigger and bigger with the daily number of users operating Facebook account, Google+ account and all increasing at burgeoning speed. Local, around 40% of queries taking place from mobile and relates to that user’s local area only. Last but not least is Commerce, nowadays more and more people feel it is convenient to buy various types of products or services through their mobile phone and, believe it or not, these days there are on average 4 people a month who buy a FERRARI through their mobile phone. Isn’t it incredible? In the year 2010, a prediction was made that by 2013 smart phone sales would overtake personal computer (PC) sales, but it actually happened in 2011, which just shows our speed of modernisation. Therefore, looking forward to ongoing changes we can say that, in just 3 years time, tablet sales will overtake PC sales and smart phone sales will be 3 times that of PC sales. One may be amazed to know that there is around 52% UK smart phone penetration and that, for 28% of those users, all their online time is with the help of their smart phones. Above that 50% of people making their first connections to the web world start with search GOOGLE. Mobile is contributing to a huge extent with its ever changing scenario, as illustrated by the table below, which shows the huge change that occurred in the space of just one year. Here are some more shocking statistics! Half of the UK population already has one smart phone at this moment. Plus, there was an around 378% year on year growth in EMEA tablet sales in 2011, 38% UK tablet owners use it more than their TV, 12% of UK internet users own a tablet. Just a few years back, on Christmas Eve we used to wait for traditional gifts and sweets but nowadays, for which all credit goes to our technology, people want to have tablets not even smart phones. On Christmas Eve 2011 a whopping growth of more than 23% week on week was noted for tablets whereas, in comparison to this, smart phone growth was just +11%. Recently people have started to adopt the new trend of dual screening. Dual Screening means, that while watching TV, they start checking out their smart phones or tablets during the commercials. Around 53% UK smart phone users are already ‘dual screening’. Its operating platform where it is available i.e., Mobile Operating Platform. Along with its most important aspect, the Social Element attached to it. Therefore, by being on a mobile operating platform make it easy to capture a large audience as the Mobile Market is so huge and also, with the social element attached, it is just like the proverbial cherry on the cake. Since the web is getting more and more social all the time this has made Zynga’s valuation more than $250m. Some more interesting facts: 28% of people check a social network on their smart phone before getting out of bed and 57% talk more online than they do in real life. Today the world is getting smaller day by day as ever more people start connecting with each other and sharing many things online. G+, i.e. Google Plus, proves to be very vital by playing the role of Connective Tissue. Google Plus is the connective tissue across all the different Google products and it also helps to make them personal for us. Google+ is almost everywhere, whatever you use. Take, for example, if you are researching which smart phone is best. So, while searching for it, one can find out about all smart phones which are trending and which one is the most popular and liked among the friends added to your circle. This proves to be very helpful as it also makes your search for various other things extremely easy, as it seeks out items for you. This results in an increase of Click Through Rates (CTR’s) of 5% to 10% as people feel that, if their friends liked it, they should like it too. Google+ already has more than 170million users and 100million users visit Google+ at least once a month, with around 50million daily users. It’s the fastest growing social network ever and will be able to overtake Facebook very soon. An example of a company which has been able to do very well with Google+ is Cadbury, which already has 1million followers for its brand. With the help of Google+ and its different unique functionality, Circles, the Cadbury brand was able to achieve such a grand success within a short period span, as an advantage of having it is that you can position and target the content of people who are more relevant to you. You can also show a different side of yourself, depending on what the needs of a particular user are. Google+ has functionality a little like a Skype; they call them Google Hang Outs. These proved to be very useful for Cadbury as they were able to get feedback from their followers regarding their different products and their different marketing campaigns, with respect to which they can adopt and make any necessary changes required. Now focusing towards the Localisation trend: Local is getting more important with every passing day, since 50% of map usage is done through mobile phones, the majority of which is in regard to local areas only. One of Google’s recent innovations done is the launch of Google Glasses and bringing Augmented Reality on your mobile phones. Augmented reality is like putting up a layer over a physical world and, because one would be able to interact with the physical world in a completely different manner, it will enhance one’s experience also. Lastly it’s time to know about the third trend, i.e. Commerce. While talking about M-commerce the first company that comes to mind is EBAY, mainly because the sales of EBAY are increasing daily. Actually, its sales are not important, but what is important is where it’s getting those sales from and it’s an eye opener to learn that the majority, worth $5billion in 2011, came via mobile phones whereas in 2010 it was just $2billion. Moreover, the company is expecting this figure to be $8billion for the year 2012. In the UK alone 28% of smart phone owners have purchased via mobile. Another such example is “Paddy Power” who, 2yrs ago, saw only 10% online customers betting via mobile, but that has now increased to 49%. 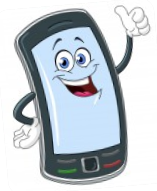 wow, you are providing so much information about the trends in regards to Mobile marketing. ‘4 people a month buy a Ferrari using their mobile phone’, that is amazing! After reading your post it is very clear to me that it is very important to have a website that is compatible with mobile phones. Its great to see another mobile junkie running about out there. I thought I was the only one!!! These days I am building up a mobile apps business for local marketers and its content like this that I need potential clients to see. 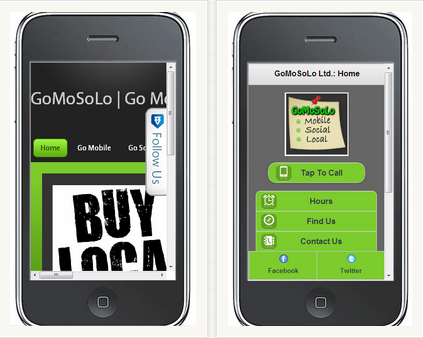 Mobile is the future of marketing, and soon if you don’t have a mobile app, your going to be out of business. I have heard that mobile is taking the space of pc’s and of course this great analysis makes me thing that the next step is to adapt to this new trend. At the same time I realize we all tend to be dependent on these devices forgetting the importance of our life balance, real profound relationships that go beyond an sms and and e-mail and our contact with nature and our body. To me,making our lives easier with these devices should not be at the expense of our relationships, our creativity our need for play and our contact with nature. Interesting and valuable post. Just goes to show how important it is to keep up with what is current. Hard to imagine buying a ferrari online…but on the other hand…if you know what you want, why not? Thanks for the info. This is awesome information Sadie-Michaela! I’m still stunned by the part about buying a car on a smart phone – amazing! Honestly, I don’t own a smart phone, but then I rarely use my cell phone, so there you are. I think the trend is fascinating, and certainly something to be aware of and tap into for businesses. Thanks for the inspiration! As usual, you provide excellent statistics as well as helpful graphics. I knew that mobile was growing, but I had no idea that it was even possible to buy a car through a phone. Another realization was the idea of double screening where people are being active on their phone while commercials are playing. More than ever it pays to engage the audience! For sure Paul, many people of all ages age dual screening now and not only during the TV commercials! It sure is amazing what we can do with a little phone in the palm of our hands. Looks like I will be setting up my site for mobile optimization. I am striving to reach an extremely broad market and would hate that I am limiting myself. Good information. how in the world anyone can buy a Ferrari with a mobile phone? All the information that you shared is so useful and essential for all of us to pay attention so we can stay in business in the next while (for the next 100 years 🙂 to bad that I am not up to it yet and from what you wrote here I better get going before I am left way behind. Thanks so much once again for all what you share for people like me and for sure for people who are already into the mobile business. Wow!! Times are a changing!! I do use my mobile for some things, but not purchases yet!! I usually go back to my “dependable” computer!! I certainly see how being mobile and having that functionality can make things simpler so to speak! It will certainly be interesting to see how it changes from here!! I, too, wonder about the relationships and how that part will be changing as we become more “mobile’ with all of what we do! Responsive sites are becoming very necessary. I have been working on my own site’s mobile theme and it takes a lot of effort to make sure your site can be accessible to as many people in the most user-friendly way. I’m going to optimise more for mobile local searches… 40% is a big chunk that I could be reaching – thanks for this post, a timely kick up the back side about what is important when you want to be found. You are certainly sharing some amazing stats. I am one of those slow starters. Even though I do have a DroidX, I have not uploaded many apps, I have not created any apps. and I have not purchased anything using my phone. If I keep reading your posts I know I will suddenly wake up and start upgrading my web sites to accomodate the mobile market – or create new web sites to do that. Right now I am in the middle of writing my novel as part of the NanoWrimo, National November Writers Month. This is a lot of information for us to get through and understand with clarity until adding your style to present it makes even me able to understand what is going on with our smart phones getting smarter! I have been with my relatives on Thanks Giving and everyone who was in the kitchen with us started to pop out their smart phones. Wait, just then he shows me an application that allows your phone to be a security device at a push of the button it becomes a motion detector. Hey, I love to travel and staying at hotels and such. I feel very well protected with placing my phone aimed at the door so one step or movement and alarm will notify me. That was just mind blowing. Then he showed me another fun application that makes your phone a device that shows me every inch withing his hone no matter where you are on earth. All at just a push of a button. Sadie, your a one of our great visionaries and I love each visit. I just do not know how you keep updated with so much stuff, O’Yes you have a state of the art smart phone…. Thanks and glad I could make it over here today. Learned allot and got me motivated to get involved with location the best smart phone and updating to it. I just still use a regular phone. I love to carry my notebook as a device that has it all. My phone is just for talking and I am old fashion like that.